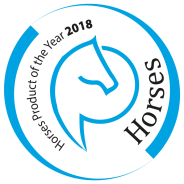 Eisma Horsesmedia raffles among the voters of the Horses Product of the Year award two equestrian arrangements from Van der Valk Hotel Apeldoorn-De Cantharel. This package consists of: an overnight stay for two persons, dinner with live cooking & breakfast, 2 luxury horse boxes, including all facilities of the Paardenhotel. All prizes are personal and cannot be exchanged for money. 2.1 Voting is free of charge. 2.2 You can only vote on 1 product per category with your e-mail address. 2.3 People who attempt to use multiple e-mail addresses in order to increase the chances of winning are removed and no longer compete for the prizes to be won. 3.1 If you have successfully completed the voting procedure, you can win the prizes. The winners will be chosen randomly from all voters who voted and left their full name and e-mail address in one of the two elections. Only one prize per winner and per household (people living in the same house) will be sent. 3.2 The designation of prizewinners takes place in an impartial manner. The results are not open to discussion. 3.3 The prize winners will receive a notification by e-mail after the election. In this email the winner is asked to respond with his or her name and address, so that Eisma Horsesmedia can send the prize won by him or her. If the winner does not respond to this email within 15 days, he or she will receive a second email. If the winner again does not respond to this second message within 15 days, the prize will be considered as lost. When this happens, the winner no longer has any claim to the prize. 3.4 Anyone who is involved in the organization of the election is excluded from winning this prize. 3.5 The organization and all affiliated parties are not liable for errors in the handling of e-mails and handing over the prizes. Through this election you can easily send friends and acquaintances an invitation to vote for your favorite. However, it is not guaranteed that your invitation will actually arrive. That responsibility lies with the provider. The organization of the election advises you to a send an invitation via your own e-mail account or social network to be sure that it arrives. 5.1 The election system may in no way (technically) be addressed, used or to send spam, to vote, to copy data to other storage media, or for other purposes, without written permission from the organization. 5.2 The votes will be checked regularly. In case of detected fraud, the organization may decide not to include the votes and / or to disqualify a product or service. 5.3 The organization is at all times authorized to change the rules of the game, without explicitly informing you of them. 6.1 The partner of the election is Van der Valk Hotel Apeldoorn-De Cantharel. 7.1 Voters who give permission to this, will receive e-mail messages from Eisma Horsesmedia after the election via the Horses newsletter. Via these e-mails the prize winners and the winning products / services will be announced. You can easily unsubscribe via a direct link, which will be provided in these e-mails. All data that you filled in during the election remain within the property of the organization. 8.1 Eisma Horsesmedia and Van der Valk Hotel Apeldoorn-De Cantharel are not liable for any possible damage caused by participation in the election. 8.2 Only Dutch law applies to the election and the rules. In cases where the general conditions do not apply, the organization of the election makes a decision. 8.3 If you wish to respond to the rules or if you feel that our website or our the way we execute our actions are not in accordance with the rules, we ask you to contact us via Horsesmedia@eisma.nl.